I have just read a blog post on ‘Surviving Christmas’, listing some helpful comments on how to cope with the business that the holiday entails. However, I would like to suggest that our aim should be not just to survive Christmas, but to actually enjoy this wonderful time of year! So here are some of my own thoughts on how clients can get the most from this special time of celebration, even while working to encourage health. Sleep: This may sound boring but if you are burning the candle at both ends you won’t have the energy you need to enjoy Christmas and the surrounding days. If you are supporting your gut ecology it is important that you get enough rest, so don’t be afraid to leave gatherings, parties or dinners earlier than the others. Don’t feel you are a ‘party pooper’, but prioritize your health. Perhaps an easy way that late nights creep up on us is just watching the television. With recording and catch-up, none of us need to stay up late to catch the end of a programme or film. Keeping up a good nights sleep through the holiday will help to maintain health. Supplements: Your tailor-made supplement programme ensures that your body is receiving the nutrients it requires day to day. Even if you are travelling, visiting or receiving guests yourself, try to keep up your daily supplement programme. The vitamin C, friendly bacteria, and zinc and vitamin D within the multi, will all help to support your immune system at this busy time. Plan Ahead: With only a week to go to Christmas day, give some careful thought to what foods you need in the house to help you stick to your recommended diet. 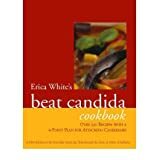 If you haven’t already got it, you may find Erica White’s Beat Candida Cookbook to be of invaluable help. It’s not too late to order it from Amazon in time for Christmas. Using the stuffing and gravy recipes I have posted over the past few days, the main course of a Christmas dinner, with Turkey and plenty of vegetables, is fine for most people on the yeast/sugar-free protocol. Get in plenty of fresh nuts to munch on while others are tucking into Christmas pudding, or make a dessert alternative. A very simple dessert is to use one mug of whole grain rice to 1 carton of Vanilla Rice Dream, and cook in a medium oven until all the liquid has been absorbed and rice is soft and creamy (about an hour). Serve hot or cold and for extra creaminess stir in some ‘Oatly’ Oat cream ( available in many supermarkets and wholefood shops – check it is the sugar-free version). To make the dessert more seasonal you may like to add a sprinkle of mixed spice or cinnamon, and top with some freshly cracked walnuts.